Wireless Emergency Alerts: There are two key deadlines for Wireless Emergency Alerts (WEA) this year. WEA messages are official alerts (e.g. severe weather, AMBER alerts) from authorized government agencies ("alert originators"(), including Emergency Communications Center (ECCs_, sent to mobile devices served by wireless carriers that participate in the program (including all of the nationwide carriers). The Federal Communications Commission's (FCC's) rules govern how WEA messages are sent and certain aspects of the content. In May, wireless carriers must support an increased number of characters for WEA messages, from 90 to 360 characters, and Spanish language alerts. Additionally, authorized alert originators will be able to conduct end -to-end WEA tests without requesting permission from the FCC. Then, in November, wireless carriers will have to deliver alerts with much more accurate geo-targeting- to no more than one-tenth of a mile beyond the target area specified by alert originators. 9-1-1 Location Accuracy: Last year, the major wireless carriers announced that by the end of 2018, they would be using a combination of technologies such as GPS and WiFI, similar to the tech used by popular ride-sharing and navigation apps, to deliver more accurate location information, even from indoors. Thus, ECCs should be noticing substantially more accurate horizontal location estimates for 9-1-1 early in 2019 if they haven't already. Throughout the year, we should see developments in the delivery of dispatchable location (meaning the street address plus apartment number, floor, office number, or whatever is needed to locate a caller), particularly important for wireless 9-1-1 calls made from inside buildings. 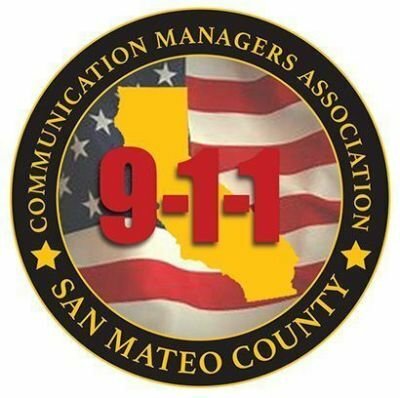 In addition to the ongoing testing of dispatchable location technologies and how to effectively deliver the information to ECCs for wireless calls, the FCC will consider adopting rules that ensure a dispatchable location is delivered with every 9-1-1 call, regardless of the technology used to deliver the call. The FCC sought public comment on the proposed rules last fall and is required by law to make a final decision by September 2019. Real-Time TEXT: In 2019, we will continue to see the rollout of Real-Time Text (RTT) technology. RTT is an IP-based text messaging technology in which text is transmitted immediately as it is typed. Unlike TTY or TDD, the legacy hearing impairments, users can simultaneously type messages to each other and see each letter appear in real time without the risk of interfering with the message delivery. In 2016, the FCC adopted rules that allow wireless carriers to support RTT technology in lieu of TTY , and last year we saw some carriers introduce RTT options for some smartphones. By December 2019, all nationwide wireless carriers choosing to support RTT in lieu of TTY must support RTT for all new user devices. RTT has advantages over TTY, but APCO has expressed concern with potential adverse impacts to ECCs. Among other things, RTT messages will be converted to TTY unless ECCs elect to receive them as RTT. The conversion could result in communications challenges. For example, an RTT user may not know when an ECC is receiving the message as TTY and understand traditional abbreviations or the need for turn-based messaging. As RTT becomes more commonly used by members of the public, ECCs will need to be prepared to receive the messages to 9-1-1 either as RTT or converted to TTY. In addition to the developments we know to expect, there's no doubt that the coming year will bring many changes for public safety communications. First responders will increasingly benefit from the growing coverage and capabilities of FirstNet's nationwide public safety broadband network. States and technology providers will continue deploying Next Generation 9-1-1 systems and exploring innovative solutions. And the FCC will continue addressing important issues such as 9-1-1 reliability. Whatever develops in 2019, APCO will continue to represent the best interests of its members. Jeff Cohen (cohenj@apcointl.org) is Chief Counsel and Director of Government Relations for APCO International. Mark Reddish (reddishm@apcointl.org) Senior Counsel and Manager of Government Relations and Nicole Zimbelman (zimbelmann@apcointl.rg), Government Relations Counsel, also contribute to this column.